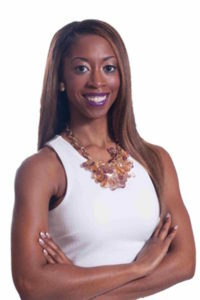 As one of the nation’s leading experts skilled in igniting the power within others, DaVetta “Dee” Collins is the Founder and CEO of Dunamis Woman Enterprise, LLC. A true visionary and charismatic leader, Dee sets the bar high as a Dunamis “powerful” woman impacting and inspiring young adults, women, and men to learn the word of God in order to tap into their Dunamis Power to overcome life’s obstacles & produce greatness. Dee serves as an Entrepreneur, Author & Publisher, Television Talk Show Host, Spiritual Advisor, and Coach (John Maxwell Certified). For over 20 years, Dee has skillfully guided women and men on how to apply the word of God to break through the barriers of their mind and life so that they may walk in their true authentic purpose, while building the Kingdom of God. Although Dee serves in many capacities which has caused her to produce favorable outcomes personally and professionally, her ultimate life mission is to teach the word of God & personally engage with those she serves from an authentic & holistic standpoint. Her high level of submission, sacrifice and servitude ignites her ability to build the Kingdom of God and reach nations at large. As one of the youngest leading experts on the art of maximizing youth’s potential, Ariel Fuller is Co-Owner of Dunamis Woman Enterprise, LLC. and youngest daughter of Davetta “Dee” Collins. Ariel is a traiblazing woman in the world of youth development. Using every aspect of her life to impact and inspire teens to live a life for Christ, she serves as a Youth Leader, Teen Coach, and Mentor. Overseeing Dunamis Community Advocate Services, DWE’s official non-profit organization Ariel works relentlessly with youth ages 12-17 to elevate their mindsets and empower them to prosper as a whole mentally, emotionally, physically, financially, and spiritually. Ariel is very fortunate to have learned the word of God underneath the Pastoral Leadership of her Mother, but at once feeling placed in her shadow as her “twin” physically & sharing the same birthday, it wasn’t until 2012 where she fully embraced her gift to reach the hearts of youth and walked boldly in her God given purpose. She meets her peers & teens in today’s generation exactly where they are & ministers the word of God, coupled with her experiences from life, college, and competing as a national pageant competitor. Although Ariel serves in many capacities as a young 26 year old, her ultimate life mission is to provide self-help & guidance to young women and men of all races, ages, and background to live a life boldly for God and tap into His Dunamis power that lives within!